Earlier this week, the new Conservative government in Ontario introduced Bill 2, Urgent Priorities Act, 2018. Schedule 3 of Bill 2 is the York Back to Work legislation that will end the strike which is now more than 100 days old and the longest post-secondary strike in Canadian history. Schedule 3 is called the Back to Class Act (York University), 2018. I don’t know whether that name is intended as a double entendre to slag the behaviour of the parties in this nasty bargaining dispute. campaign. CUPE held a press conference along with the Canadian Civil Liberties Association, and CUPE’s leader Fred Hahn wrote an editorial decrying York’s behaviour and the Back to Work legislation. CUPE and the CCLA argue that the Back to Work legislation violates the Charter of Rights and Freedoms (I have my doubts about that) and will “poison” labour relations (that’s true, but then again the labour relations have been poisoned for years already). The real anger seems to be targeted at York’s tactics in this round of bargaining. York University has been sitting back and waiting for the government to intervene in this manner for months, so now it will get what it wanted all along. The willingness and ability of York to adopt this “wait-for-arbitration” model has surprised many casual observers of collective bargaining law who are unaware of the limited scope of the legal “duty to bargain”, and infuriated CUPE and its members. CUPE wants the government to reject York’s request for legislated back to work legislation, and make a public statement demanding that York sit down and hash out a deal with CUPE. Instead, the government has sided with York and referred the dispute to arbitration. Here is my quick summary of the Back to Class (York University), 2018 Act. Section 3 terminates the strike immediately upon the Bill receiving Royal Assent (which is the final step in the legislative process, as explained in Chapter 19: Mapping the Regulatory Regime of The Law of Work). Sections 4-8 clarify that any strike after the Bill comes into effect is unlawful and subjects any one continuing to strike to a fine of up to $2000 per day or in the case of an organization, to $25,000 per day. Section 9 deems the terms of the old collective agreement to apply until the new collective agreement comes into effect. Section 11 then deals with the appointment of an arbitrator. The parties have 5 days after the deemed referred to med-arb to decide upon and appoint a mediator-arbitrator or the Minister of Labour will appoint one. The Minister may appoint someone “who is in the opinion of the Minister qualified to act”. This language is probably a nod to some earlier problems Conservative governments have run into when they have attempted to appoint arbitrators with little labour relations expertise and who are not respected by the industrial relations community. Who can forget the embarrassing spectacle of Federal Minister of Labour Lisa Raitt being raked over the coals by a judge for appointing a grossly unqualified arbitrator in a Canada Post dispute backing 2012. The statutory language in the Canada Post case granted the Minister authority to appoint an arbitrator “the Minister considers appropriate”. The judge ruled that the exercise of this appointment power had to be exercised reasonably, and the person appointed needed to be someone with demonstrable labour relations experience. Section 12 grants the mediator-arbitrator the authority to select “the method of dispute resolution” rather than the state dictating the process. The arbitrator could listen to submissions and craft an agreement, adopt a “final offer selection” process in which both parties propose final collective agreement language from which the arbitrator would select one, or select some other creative method. Section 13 is a privative clause that purports to prohibit any application to a court to challenge the appointment of the arbitrator or the arbitrator’s chosen method of arbitration. There was a privative clause in the Canada Post decision as well, which the court ruled to not shield a judicial review of the arbitrator’s appointment. Frankly, I do not anticipate issues arising in the York situation over the appointment of the arbitrator. 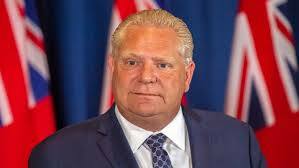 I’m confident that the parties will be able to agree on someone or failing that, that the Ontario government will not engage in Raitt-like shenanigans and will appoint an active, respected interest arbitrator. I will give the government the benefit of the doubt on that one. Section 14 clarifies that the mediator-arbitrator may attempt to mediate a settlement. Section 15 requires that the “proceeding” begin within 30 days of the arbitrator’s appointment and that the award be issued within 90 days unless the parties agree to extend that time period. Section 16 confirms that the med-arbitrator may deal with CUPE Unit 1 and Unit 2 separately or he/she can consolidate the two and deal with them together in the proceeding. 3. To encourage best practices that ensure the delivery of quality and effective public services that are affordable for taxpayers. years been a source of controversy. Since the government controls many of the revenue sources of a university and decides on the levels of “current funding” [Ontario universities receive the lowest per student government funding in Canada], York’s “fiscal situation” and “ability to pay” is in large measure controlled by the government, as are “taxation levels”. So the criteria reinforce the governments’ priorities, which certainly more closely align with the University’s than those of the part-time workers at York, many of who work long hours in insecure employment earning poverty wages. In practice, arbitrators in Canada have mostly refused to be beholden to these criteria, and rather treat them as part of a much larger list of factors to be considered. In the case of York, the “purposes of the Public Sector Dispute Resolution Act, 1997″ adds an interesting dimension. That’s because the employer steadfastly refused to negotiate and resisted a model of expeditious resolution of the dispute through collective bargaining. Instead, it took the position from the outset that unless CUPE agreed to its settlement framework, it would just wait for interest arbitration to resolve the dispute. An arbitrator that wanted to discourage this behaviour could theoretically at least reference purposes 1 and 2 in crafting an award that sides with CUPE in some regards. Sections 17(3) and 17(4) require that any dispute relating to discipline or discharge of bargaining unit employees for behaviour during the strike be dealt with through the grievance and arbitration provision in the new collective agreement. The language prohibits the med-arbitrator from including language in the new agreement, which I understand CUPE had pushed for, that would prohibit any discipline against strikers for conduct during the strike. Section 20 clarifies that the parties can continue to negotiate and if they reach a deal the med-arg process is terminated. If the med-arbitrator issues an award, the parties must execute the documents necessary to give it effect without 7 days unless the arbitrator extends the date. If he documents are not executed, they are deemed to come into effect as if they had been. 1. Do you agree with the decision of the Ontario government to enact Back to Work legislation to end the long strike at York? If not, what alternative action, if any, do you believe the government should have taken? 2. Does anything in this Back to Work legislation raise concerns for you? 3. I have read Tweets calling a law that would require York to “sit down and bargain”. Do you think that such a law would work, in the sense that it would produce a negotiated settlement? Why or why not? 4. For those of you with knowledge of the Charter jurisprudence on the right to collective bargaining and to strike, do you think this legislation will survive the Constitutional challenge that is almost certain to be launched if the parties do not reach a deal? There are good reasons to question whether the Back to Class Act is constitutionally sustainable in the wake of the Supreme Court’s decisions which effectively constitutionalized the right to strike. In the first place, York University is not a monopoly supplier or even the predominant supplier of an essential service. Second, even to the degree that York University was providing an essential service, there was substantial accommodation of its current students’ interests. It is exceedingly difficult to make the case for irreparable economic harm. Third, prospective students of York University clearly had, and continue to have, alternatives to York University. York University should have been left to resolve this issue without government interference.